A Sussex man has been arrested 270 miles away and charged with attempting to meet a girl after grooming her. Philip John Jacobs, 42, of Rochester Way in Aldwick was arrested in Liverpool city centre on Friday, police said. Merseyside Police confirmed he was later charged with attempting to meet a girl following grooming, and engaging in sexual communication with a child. 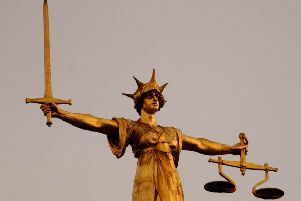 He was remanded in custody to appear at Liverpool Magistrates Court on Monday. He was then returned to custody awaiting his next court appearance at Liverpool Crown Court on May 29, 2018. If you believe you or someone you know may have been the victim of child sexual exploitation, please contact Sussex Police on 101. Alternatively you can contact the independent charity Crimestoppers anonymously, on 0800 555 111 or via their online form.